This first one is an actual sanctuary. Completed in 1895 and designed by Bernard Maybeck, the Swedenborgian Church is an exemplary example of Arts and Crafts architecture in California. The Arts and Crafts movement started in the late 1800s as a reaction against mass production design (and subsequent lower quality) brought about by the Industrial Revolution. It sought to create design that was high quality, handcrafted, and accessible to everyday people (they were successful with the first two points). Located in Pacific Heights, this church is unassuming and almost looks Romanesque Revival from the street, but as you enter, the space opens up into a beautiful garden and sanctuary inspired by nature. 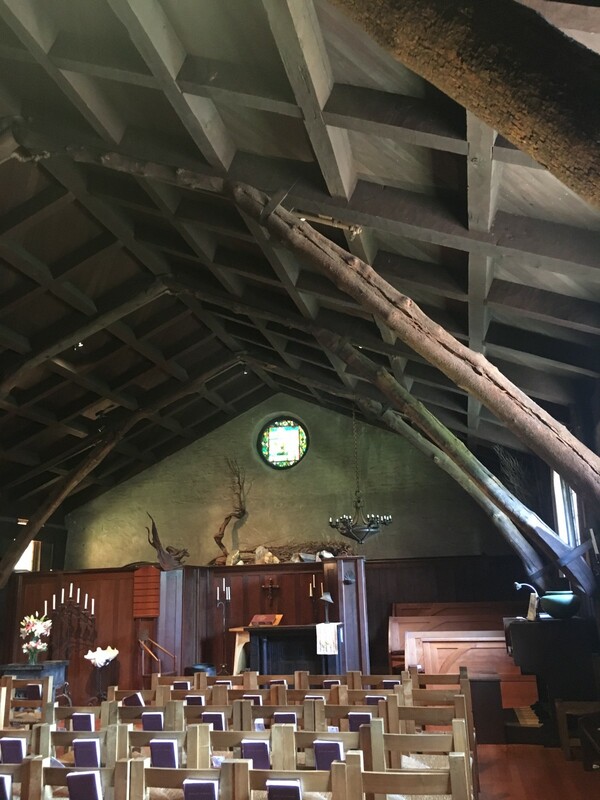 Some Swedenborgian teachings focus on man’s connection with nature, as can be seen in the design of the church, with its unfinished wooden beams supporting the roof. Fun fact: At one time it was the most popular venue for weddings in the country. 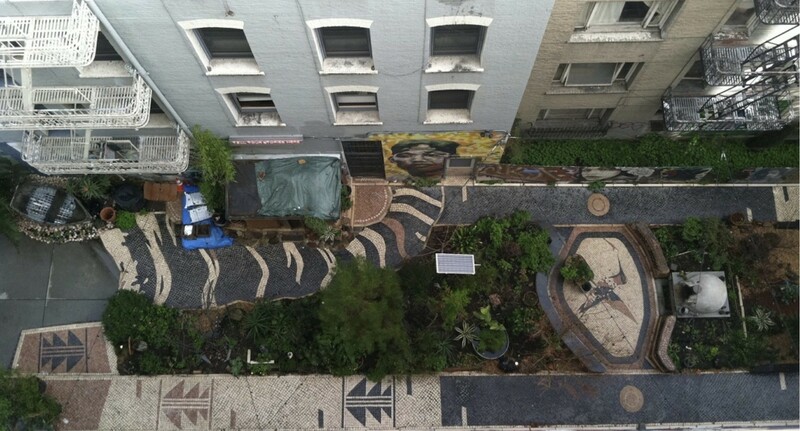 The Tenderloin National Forest is not a forest, but in fact a 25 by 136 foot converted alley (originally called Cohen Place). 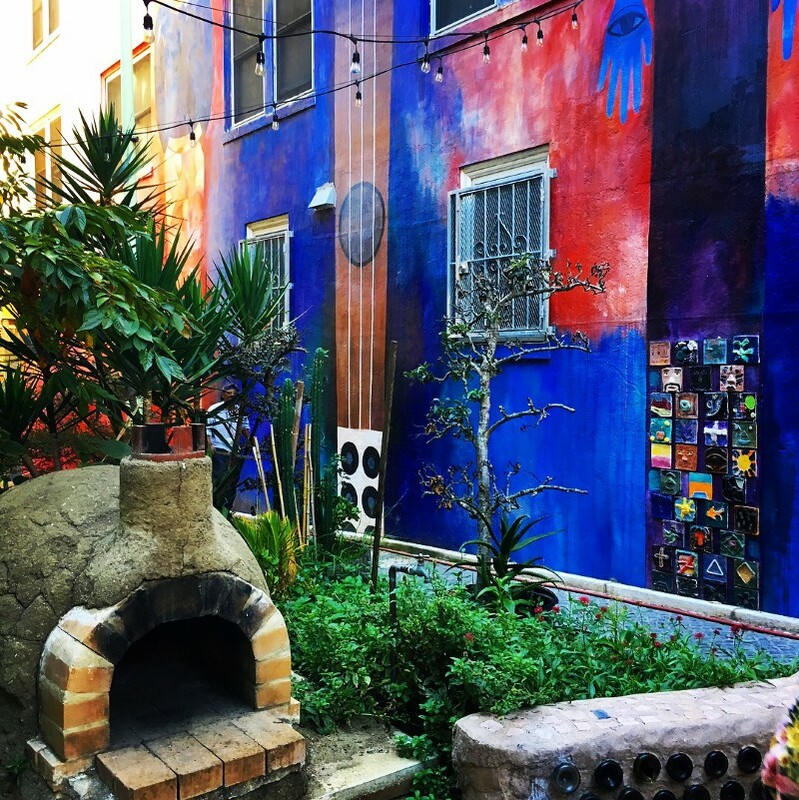 The Luggage Store Gallery directors transformed the alley from 1989 to 2009 into a community and urban art space complete with murals, party lights, landscaping, and a wood-burning oven. In 2000, the Luggage Store directors negotiated a lease with the City of San Francisco for $1.00 per year, which permanently closed the alley to traffic. A large red steel gate designed by the artist Kevin Leeper serves as the entrance to the alley and separates the space from Ellis Street. 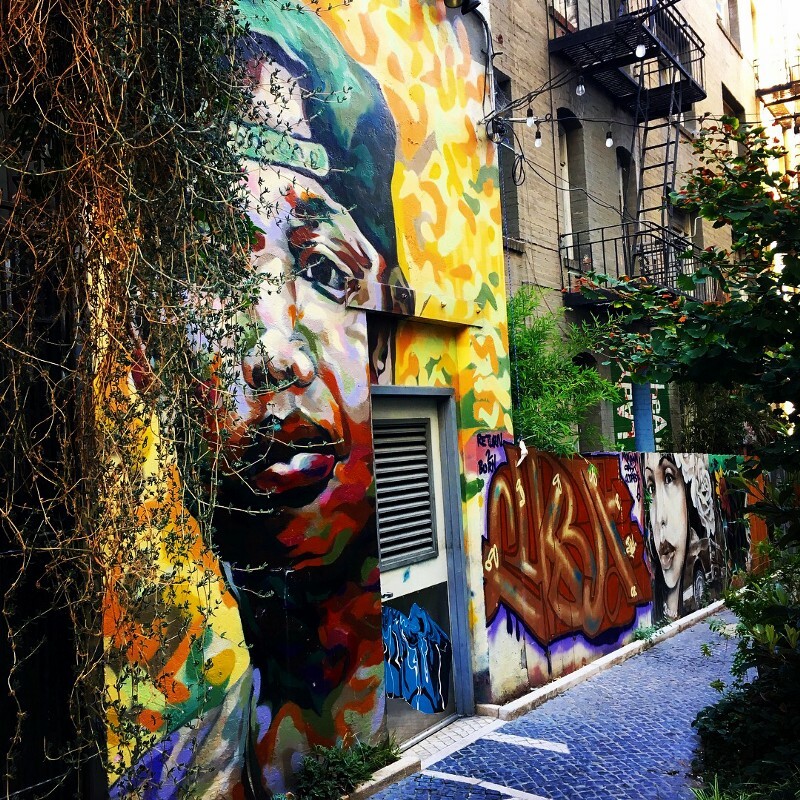 The space feels completely removed from the neighborhood and city that surrounds it — it is quiet, and filled with plants, nature, and art. 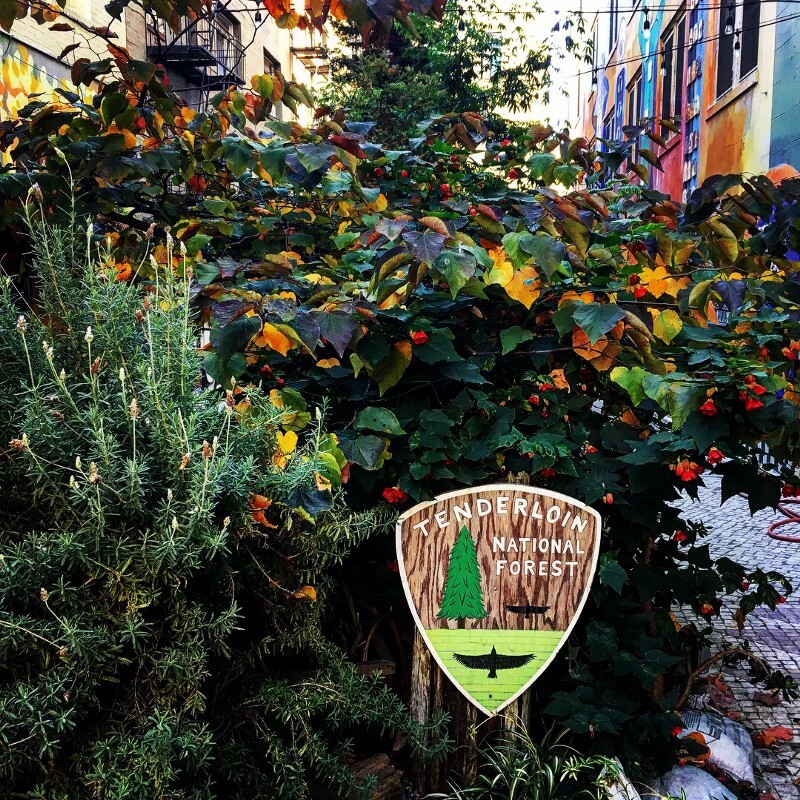 I visited the “forest” on a walking tour of the Tenderloin run through the Tenderloin Museum; otherwise it is open Wednesday to Saturday 11am-3pm. Privately Owned Public Open Space (otherwise known as POPOS in San Francisco) are defined by the City as “publicly accessible spaces in forms of plazas, terraces, atriums, small parks, and even snippets which are provided and maintained by private developers,” though we all know they are usually synonymous with otherwise known as POPOS in San Francisco) are usually synonymous with 1980s-style urban plazas complete with defensive architecture and a lack of landscape (save for maybe a water feature). POPOS have been a development requirement since the passage of San Francisco’s 1985 Downtown Plan, which required developers to provide publicly accessible open space as a part of projects in some commercial districts. 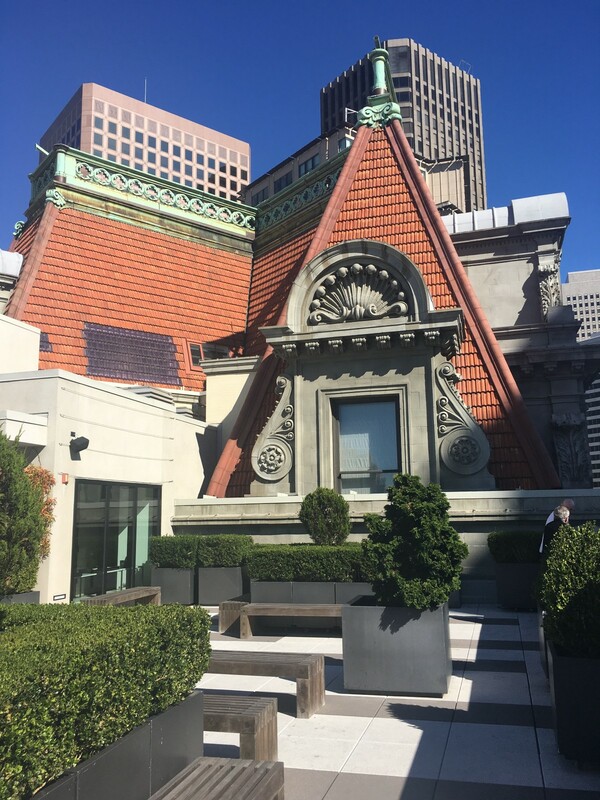 I went to several rooftop POPOS (using SPUR’s guide), and by far the best one was at 1 Kearny in the Financial District, overlooking Market Street with views of SoMa. It is not obvious from the street, but once you take the elevator up, you come out on the roof of this Market Street office building. The space has views of SoMa and Market Street, and when I was there at lunchtime, there were only two other people. This would be a great place to read, have lunch or coffee, or have a meeting. The stairs to this park (the 16th Avenue Tiled Steps) are by far more famous than what they lead to. While the steps draw a lot of visitors, Grand View Park is considerably quieter, though located just above the stairs. 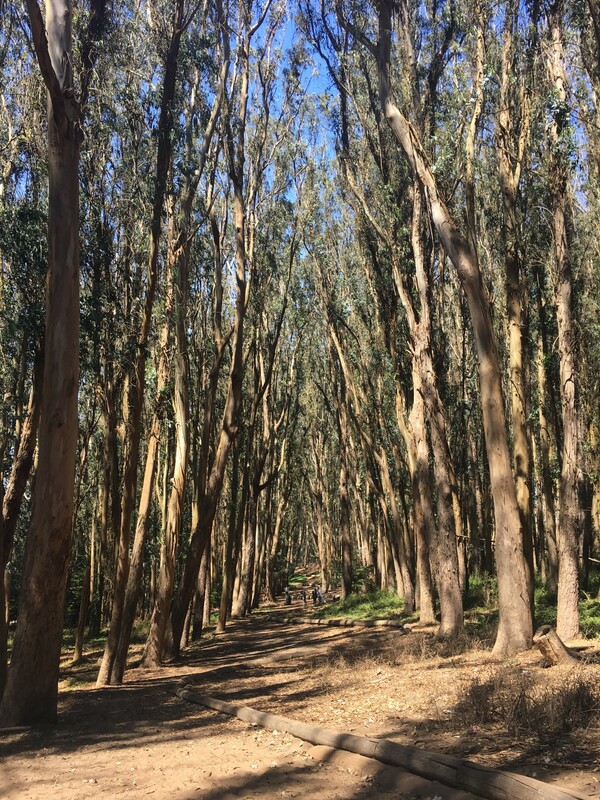 It is a hill of a park, rising out of the Inner Sunset and covered with sand. 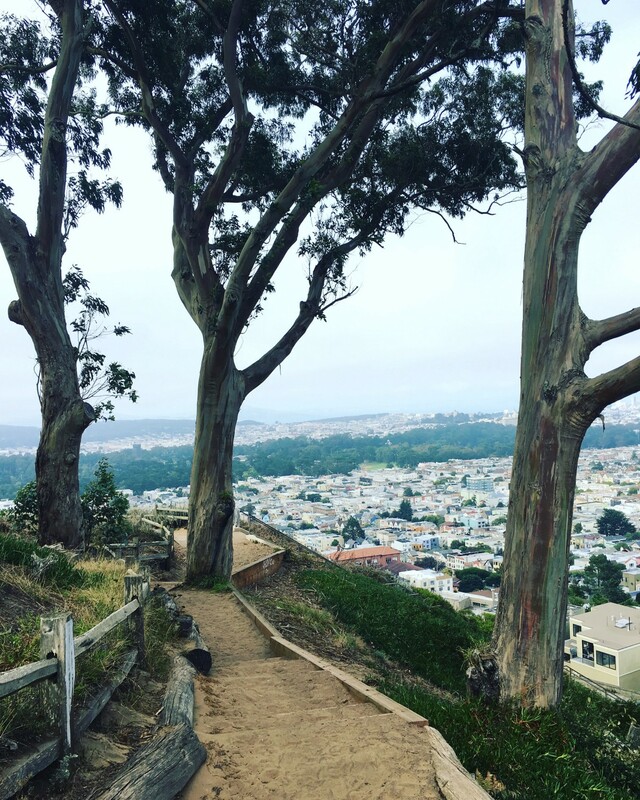 It is a nice little hike to the top up a few stair cases, and at the top offers great views of the Pacific, Presidio, Marin, and downtown (naturally it was foggy when I went). The Internet says it is called Turtle Hill by locals, but I’ve never heard anyone say this. This was number two on the overrated list, but an interesting concept nonetheless and cool sculpture. The Wave Organ sits on an jetty in the San Francisco Bay marina. It was built in 1986 by the Exploratorium Artists in Residence. From the Exploratorium: “The jetty itself was constructed with material taken from a demolished cemetery, providing a wonderful assortment of carved granite and marble, which was used in the construction of this piece. 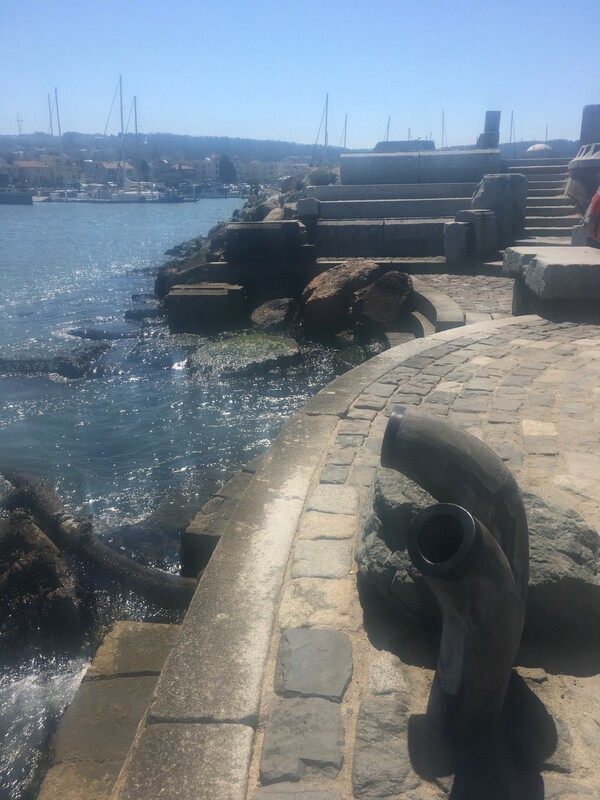 The installation includes 25 organ pipes made of PVC and concrete located at various elevations within the site, allowing for the rise and fall of the tides. Sound is created by the impact of waves against the pipe ends and the subsequent movement of the water in and out of the pipes. The sound heard at the site is subtle, requiring visitors to become sensitized to its music, and at the same time to the music of the environment.” I couldn’t actually hear the waves creating any sort of sound other than crashing waves when I was there, so I guess I was not sensitized enough to the music or environment. Fun fact: There are also wave organs in Zadar, Croatia and Blackpool, England.